The most common race in North America is the claiming race. Without these horses we call “claimers” most every track could not fill a race card. Probably 80 percent of all our races are claiming events, whereby an entrant can be ‘claimed’ from the race for the stated purchase price by a party eligible to make a claim. The idea of claiming is to provide parity. If you own a horse that is truly worth $50,000 then you will think long and hard about entering that horse in a claiming race of only $25,000. The drop in in claiming price may make for an easy score with purse money but you may also lose an asset for a fraction of its value. One must understand the business of horse racing before they can understand the world of claiming races. One of the most important things to remember about claiming races is the ‘jail time.’ While the rules vary from state to state, a claimed horse cannot run for the same or lesser claiming value within 30 days after being claimed. This is called “in jail” because the horse cannot run for a lower price until that horse is out of jail. In some states the horse cannot be removed from the state during the jail time, and in some states, the horse cannot run anywhere else until the end of the meeting. To be proficient at handicapping claiming races one needs to be up to date on the various rules in the various states. 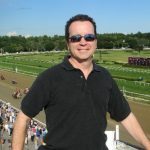 When handicapping claiming races it is well worth the time to look at the horses from a business standpoint and play the game as an owner or trainer. Profitable revelations will often come to light when a business examination is made of the entrants in a claiming race.